1995 Brady Jackson Episode: "Just Desserts"
2001 Himself / Host Episode: "Hugh Jackman/Mick Jagger"
2010 Himself Episode: "Tribute to Number Seven"
2011 Himself / Host Episode: "955"
2011 Daniel Radcliffe Episode: "Ben Stiller/Foster the People"
Fly: Songs Inspired by the Film "Eddie the Eagle"
^ "Come Alive" did not enter the Billboard Hot 100, but peaked at No. 21 on the Bubbling Under Hot 100 Singles chart. ^ Stratton, David (11 October 1999). "Review: 'Erskineville Kings'". Variety. Archived from the original on 20 December 2016. Retrieved 12 December 2016. ^ Shepard, Richard F. (20 January 1975). "The Screen:'Paperback Hero,' Tale of Living a Fantasy". The New York Times. Archived from the original on 20 December 2016. Retrieved 12 December 2016. ^ Kennedy, Colin. "X-Men". Empire. Archived from the original on 21 December 2016. Retrieved 12 December 2016. ^ Ebert, Roger (30 March 2001). "Someone Like You Movie Review (2001) | Roger Ebert". Chicago Sun-Times. Archived from the original on 20 December 2016. Retrieved 12 December 2016. ^ French, Philip (28 July 2001). "Swordfish is a very funny word, but a very silly film". The Guardian. Archived from the original on 21 December 2016. Retrieved 12 December 2016. ^ Bradshaw, Peter (4 April 2002). "Kate & Leopold". The Guardian. Archived from the original on 21 December 2016. Retrieved 12 December 2016. ^ Travers, Peter (2 May 2003). "X2: X-Men United". Rolling Stone. Archived from the original on 20 December 2016. Retrieved 12 December 2016. ^ "Profile of a Serial Killer". Rotten Tomatoes. Archived from the original on 20 December 2016. Retrieved 12 December 2016. ^ Freer, Ian. "Van Helsing". Empire. Archived from the original on 21 December 2016. Retrieved 12 December 2016. ^ "Van Helsing: The London Assignment". Rotten Tomatoes. Archived from the original on 20 December 2016. Retrieved 12 December 2016. ^ "Stories of Lost Souls". Rotten Tomatoes. Archived from the original on 12 December 2016. Retrieved 13 December 2016. ^ Dargis, Manohla (17 November 2006). "Bring in Da Hoofers on Ice". The New York Times. Archived from the original on 20 December 2016. Retrieved 13 December 2016. ^ Richards, Olly. "Flushed Away". Empire. Archived from the original on 21 December 2016. Retrieved 13 December 2016. ^ French, Philip (11 November 2006). "The Prestige". The Guardian. Archived from the original on 21 December 2016. Retrieved 13 December 2016. ^ Bradshaw, Peter (25 January 2007). "The Fountain". The Guardian. Archived from the original on 21 December 2016. Retrieved 13 December 2016. ^ Dargis, Manohla (28 July 2006). "'Scoop': Shades of Nick and Nora, With Woody Allen's Shtick". The New York Times. Archived from the original on 17 November 2016. Retrieved 13 December 2016. ^ Ebert, Roger (25 May 2006). "X-Men: The Last Stand Movie Review (2006)". Chicago Sun-Times. Archived from the original on 20 December 2016. Retrieved 13 December 2016. ^ Hicks, Erin (23 April 2008). "Michelle Williams stars in first movie since Heath Ledger's death". New York Daily News. Archived from the original on 10 May 2017. Retrieved 13 December 2016. ^ Buckmaster, Luke (23 January 2016). "Australia rewatched – a bulky, berserk bush turkey lathered with stereotypes". The Guardian. Archived from the original on 11 December 2016. Retrieved 13 December 2016. ^ "The Burning Season (2008)". michaeldvd.com.au. Archived from the original on 14 April 2017. Retrieved 13 December 2016. ^ Pulver, Andrew (30 April 2009). 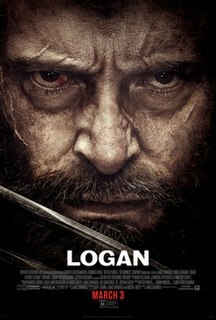 "X-Men Origins: Wolverine". The Guardian. Archived from the original on 21 December 2016. Retrieved 13 December 2016. ^ Grossberg, Josh (8 August 2013). "Troye Sivan, Young Logan in X-Men Origins: Wolverine, Comes Out". E!. Archived from the original on 20 January 2017. Retrieved 13 December 2016. ^ Corliss, Richard (2 June 2011). "A Failing Grade to X-Men: First Class". Time. Archived from the original on 9 March 2017. Retrieved 13 December 2016. ^ Ebert, Roger (20 July 2011). "Snow Flower and the Secret Fan Movie Review (2011)". Chicago Sun-Times. Archived from the original on 20 December 2016. Retrieved 13 December 2016. ^ Catsoulis, Jeannette (4 October 2012). "'Butter' With Hugh Jackman and Jennifer Garner". The New York Times. Archived from the original on 20 December 2016. Retrieved 13 December 2016. ^ Collin, Robbie (13 October 2011). "Real Steel, review". The Daily Telegraph. Archived from the original on 22 December 2016. Retrieved 13 December 2016. ^ "DreamWorks Animation Names All-Star Cast Featuring Chris Pine, Alec Baldwin, Hugh Jackman, Isla Fisher and Jude Law for Rise of the Guardians on November 21, 2012" (Press release). DreamWorks Animation. 27 January 2011. Archived from the original on 14 January 2013. Retrieved 28 January 2011. ^ Collin, Robbie (10 January 2013). "Les Misérables, review". The Daily Telegraph. Archived from the original on 12 December 2017. Retrieved 8 March 2018. ^ Bradshaw, Peter (29 January 2013). "Movie 43 – review". The Guardian. Archived from the original on 14 December 2017. Retrieved 8 March 2018. ^ Gleiberman, Owen (17 February 2017). "Berlin Film Review: 'Logan'". Variety. Archived from the original on 2 December 2017. Retrieved 8 March 2018. ^ Bradshaw, Peter (26 September 2013). "Prisoners – review". The Guardian. Archived from the original on 16 January 2018. Retrieved 8 March 2018. ^ Kermode, Mark (24 May 2014). "X-Men: Days of Future Past review – another star-stuffed extravaganza". The Guardian. Archived from the original on 4 January 2018. Retrieved 8 March 2018. ^ Puig, Claudia (17 December 2014). "Third 'Night at the Museum' is breezy, bittersweet fun". USA Today. Archived from the original on 27 November 2017. Retrieved 8 March 2018. ^ "Hugh Jackman Joins Neill Blomkamp's Sci-Fi 'Chappie'". Deadline.com. 29 September 2013. Archived from the original on 30 September 2013. Retrieved 29 October 2013. ^ Kermode, Mark (6 September 2015). "Me and Earl and the Dying Girl review – clever take on tragicomic teen narrative". The Guardian. Archived from the original on 23 December 2017. Retrieved 8 March 2018. ^ Perlman, Jake (24 January 2014). "Hugh Jackman to star in Joe Wright's Peter Pan movie". Entertainment Weekly. Archived from the original on 24 April 2015. Retrieved 28 July 2014. ^ "Eddie the Eagle flies again - review". The Daily Telegraph. 24 March 2016. Archived from the original on 16 February 2018. Retrieved 8 March 2018. ^ Waxman, Olivia B. (25 April 2016). "Hugh Jackman Just Teased an 'X-Men: Apocalypse' Wolverine Cameo". Time. Archived from the original on 2 March 2017. Retrieved 8 March 2018. ^ Alexander, Julia (19 October 2016). "Wolverine looks old and tired in this first look from Logan". Polygon. Archived from the original on 22 October 2016. Retrieved 30 October 2016. ^ "Deadpool 2 post-credits scenes". Collider. 21 May 2018. ^ Bevis, Stephen (18 May 2014). "Hugh Jackman shines for those with stars in eyes". The West Australian. Archived from the original on 8 March 2018. Retrieved 8 March 2018. ^ @RealHughJackman (22 February 2018). "THARK. 1994. #ThrowbackThursday" (Tweet). Retrieved 8 March 2018 – via Twitter. ^ Hines, Ree (22 March 2016). "Who's a better Gaston? Hugh Jackman, Luke Evans belt 'Beauty' impressions". Today. Archived from the original on 21 March 2017. Retrieved 8 March 2018. ^ a b "Hugh Jackman on stage: from Oklahoma! to The River – in pictures". The Guardian. 11 November 2014. Archived from the original on 4 January 2016. Retrieved 8 March 2018. ^ Gans, Andrew (6 June 2002). "Hugh Jackman and Audra McDonald Ride the Carnegie Hall Carousel June 6 | Playbill". Playbill. Archived from the original on 8 March 2018. Retrieved 8 March 2018. ^ Simon, John. "All Petered Out". New York. Archived from the original on 17 September 2017. Retrieved 8 March 2018. ^ "The Boy From Oz". Australian Broadcasting Corporation. 4 September 2006. Archived from the original on 6 March 2008. Retrieved 8 March 2018. ^ Soloski, Alexis (1 October 2009). "Alexis Soloski reviews Daniel Craig and Hugh Jackman in A Steady Rain on Broadway". The Guardian. Archived from the original on 21 June 2017. Retrieved 8 March 2018. ^ Harvey, Dennis (7 May 2011). "Hugh Jackman in Performance". Variety. Archived from the original on 8 March 2018. Retrieved 8 March 2018. ^ Ahearn, Victoria (6 July 2011). "Hugh Jackman debuts one-man show in Toronto". CTV News. Archived from the original on 31 August 2013. Retrieved 8 March 2018. ^ Brantley, Ben (10 November 2011). "A Master of Mass Flirtation". The New York Times. Archived from the original on 23 August 2017. Retrieved 8 March 2018. ^ Brantley, Ben (16 November 2014). "A Reserve So Deep, You Could Drown". The New York Times. Archived from the original on 4 April 2016. Retrieved 8 March 2018. ^ Badham, Van (25 November 2015). "Hugh Jackman's Broadway to Oz review – the screamingly camp end of large". The Guardian. Archived from the original on 15 October 2017. Retrieved 8 March 2018. 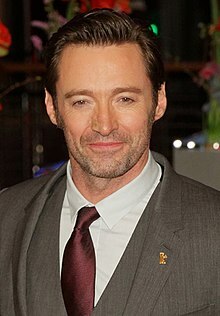 ^ "Hugh Jackman to Star in The Music Man on Broadway". Playbill. 13 March 2019. ^ Hung, Steffen. "australian-charts.com - Australian charts portal". australian-charts.com. ^ Hung, Steffen. "lescharts.com - Les charts français". lescharts.com. ^ "Home - Offizielle Deutsche Charts". www.officialcharts.de. ^ "GAON ALBUM CHART - gaon music chart". 12 December 2013. Archived from the original on 12 December 2013. ^ a b "NZ Heatseekers Singles Chart". Recorded Music NZ. 8 January 2018. Archived from the original on 18 January 2018. Retrieved 17 January 2018. ^ a b c d e f "BPI Awards - bpi" (To access, enter the search parameter "Jackman" and select "Search by Keyword"). British Phonographic Industry. Archived from the original on 17 January 2010. Retrieved 9 March 2018. ^ "American single certifications – The Greatest Showman Ensemble". Recording Industry Association of America. Retrieved 28 July 2018. If necessary, click Advanced, then click Format, then select Single, then click SEARCH. ^ "American single certifications – Ziv Zaifman, Hugh Jackman, Michelle Williams". Recording Industry Association of America. Retrieved 28 July 2018. If necessary, click Advanced, then click Format, then select Single, then click SEARCH. ^ "American single certifications – Hugh Jackman, Zac Efron". Recording Industry Association of America. Retrieved 28 July 2018. If necessary, click Advanced, then click Format, then select Single, then click SEARCH. ^ a b c "Hugh Jackman". Metacritic. Archived from the original on 8 March 2018. Retrieved 7 March 2018. Fabric is a nightclub in Farringdon, London, England. Founded in 1999, it was closed down by authorities in 2016. Fabric began a campaign to save the club on 16 September 2016. Fabric was later allowed to be reopened under strict laws. Invincible is the second studio album released by English boy band Five. The album was released in the United Kingdom by RCA Records on 8 November 1999, and was later released in the United States on 16 May 2000. Four singles were released from Invincible, including the UK chart-toppers "Keep on Movin'" and "We Will Rock You". The album was executively produced by Simon Cowell and Richard "Biff" Stannard. The discography of American rapper Young Dro consists of four studio albums, 20 mixtapes 1 compilation album and 27 singles. The Ultimate Collection is a Whitney Houston greatest hits collection, released on October 29, 2007. It was the first time a single CD of Houston's hit singles had been released. It debuted at number five in the UK, with sales of 37,228. It climbed to number three in its second week on the chart. As of February 2012, the album has sold over one million copies in the United Kingdom. In Brazil, the album was released as Whitney Houston – The Best So Far. In 2011, it was reissued as All Time Best - Reclam Musik Edition in Germany and Switzerland. Roses is the sixth studio album by the Irish rock band The Cranberries, released in the Republic of Ireland on 22 February 2012 and globally on 27 February 2012 through Cooking Vinyl and Downtown Records. Produced by Stephen Street, it was the band's first studio release in ten years. Originally planned to be released in early 2004, the recordings for the follow-up to Wake Up and Smell the Coffee were scrapped after the band decided to go their separate ways. After a six-year hiatus, The Cranberries announced their intention to record a new album during their 2009–2010 reunion tour. 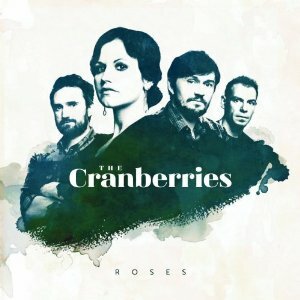 The title Roses was announced on The Cranberries website, on 24 May 2011. 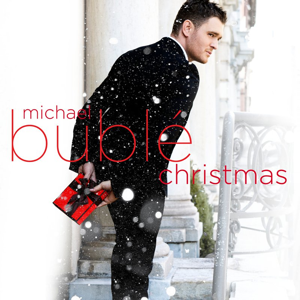 Christmas is the seventh studio album and fifth major label studio album released by Canadian singer Michael Bublé. The album was released on October 21, 2011 in Ireland, October 24, 2011 in the United Kingdom, and October 25, 2011 in the United States. On the week ending December 10, 2011, Christmas rose to No. 1 on the Billboard 200 album sales chart, becoming Bublé's third chart-topper following 2007's Call Me Irresponsible and 2009's Crazy Love, and spent five weeks at No. 1. American singer Zendaya has released one studio album, four singles, eight promotional singles, fifteen music videos and some album appearances. Her first appearance was as part of Kidz Bop Kids on album Kidz Bop Dance Party, in 2010. In 2011, Zendaya released her debut independent single, "Swag It Out". Her next single, "Watch Me", peaked at number 86 on the US Billboard Hot 100. Keala Joan Settle is an American actress and singer. Settle originated the role of Norma Valverde in Hands on a Hardbody, which ran on Broadway in 2013, and was nominated for the Outer Critics Circle Award, Drama Desk Award, and Tony Award for Best Featured Actress in a Musical. In 2017, she portrayed Lettie Lutz, a bearded lady, in the musical film The Greatest Showman. The song "This Is Me" from the film, principally sung by Settle, won the 2018 Golden Globe Award for Best Original Song, and was nominated for the Academy Award for Best Original Song. On January 27, 2019, Settle sang "Seasons of Love" in Fox's Rent: Live. Creation is the fifth and latest studio album by The Pierces, released by Polydor on 1 September 2014. It reached No. 7 on the UK Albums Chart. The Greatest Showman is a 2017 American musical drama film directed by Michael Gracey in his directorial debut, written by Jenny Bicks and Bill Condon and starring Hugh Jackman, Zac Efron, Michelle Williams, Rebecca Ferguson, and Zendaya. Featuring 9 new songs from Benj Pasek and Justin Paul, the Academy Award-winning team from La La Land, the film is inspired by the story of P. T. Barnum's creation of the Barnum & Bailey Circus and the lives of its star attractions.